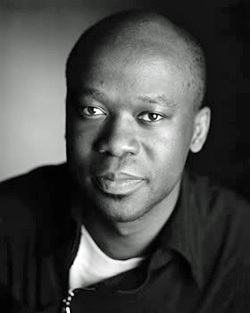 Born in Tanzania, educated in London, DAVID ADJAYE is an architect on a mission. As one of the rising stars in the architectural world, David is known for designing contemporary sustainable structures that enhance the environments in which they exist rather than take from them. I first noticed David’s work while reviewing the housing plans for Brad Pitt’s Make It Right Foundation in New Orleans. 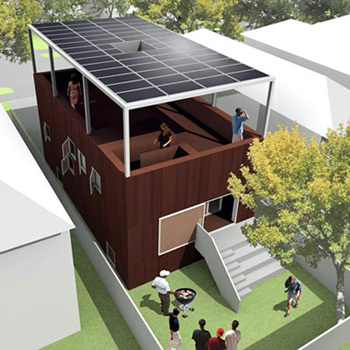 Like many prominent architects, David submitted designs in support of affordable housing in New Orleans’ Ninth Ward which was completely devastated during Hurricane Katrina. Then it seems David was everywhere. In 2007, the Studio Museum of Harlem held an Adjaye exhibit which I’m sorry to say I missed and David designed the Museum of Contemporary Art in Denver which has seen record crowds since its grand re-opening and I was not surprised because David’s designs tend to do that — invite you in. Also, in 2007, Queen Elizabeth bestowed the Order of the British Empire on David for his services to architecture after high profile commissions like the Nobel Peace Center in Oslo, Norway. 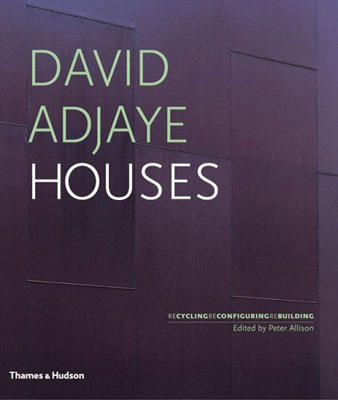 David has already published two books, David Adjaye Houses which is a bit difficult to find these days and David Adjaye: Making Public Buildings. 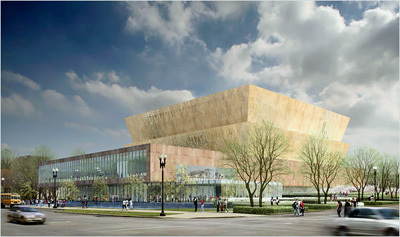 David explores scale, space, measurement and light in his work all of which were evident in the renderings he submitted for the National Museum of African American History to be built near the Washington Monument. 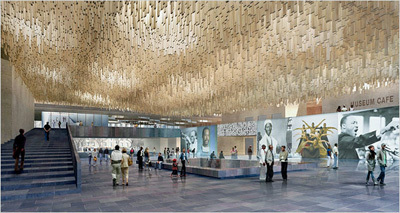 His firm was selected for the project and David said upon hearing the news, “It is the dream of my career.” Smithsonian officials said that David’s presentation was joyful and he clearly understood the duality of tragedy and hope in the African American experience.